Jason and I met in January of 2011. I had been living outside of Boston and decided after many years living away, that I would move back home for good. I quit my job, had no potential job here, but decided it was time to come home. Two days after I moved home, I met Jason. He is from New Jersey and was considering moving back there at the same time. Is that fate or what? We were engaged in November 2012; he proposed to me at Anna Maria Island on the beach. I cried whether it was from the proposal or the fact that my engagement ring would not fit on my finger I’m not sure! With Heather and Jason both members of the Krewe of Brigadoon, a volunteer organization and float participant in the Gasparilla parade, the pair wanted to bring that level of excitement to their wedding reception. 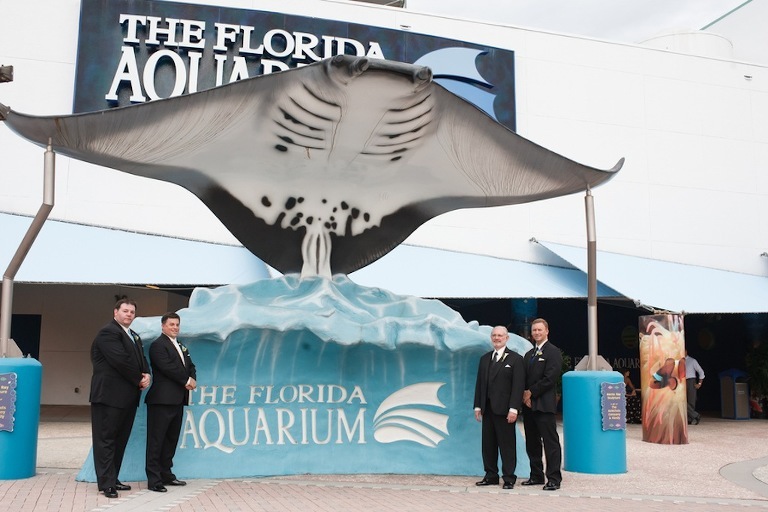 Based on the recommendation of the bride’s best friend, Heather and Jason chose downtown Tampa wedding venue the Florida Aquarium. 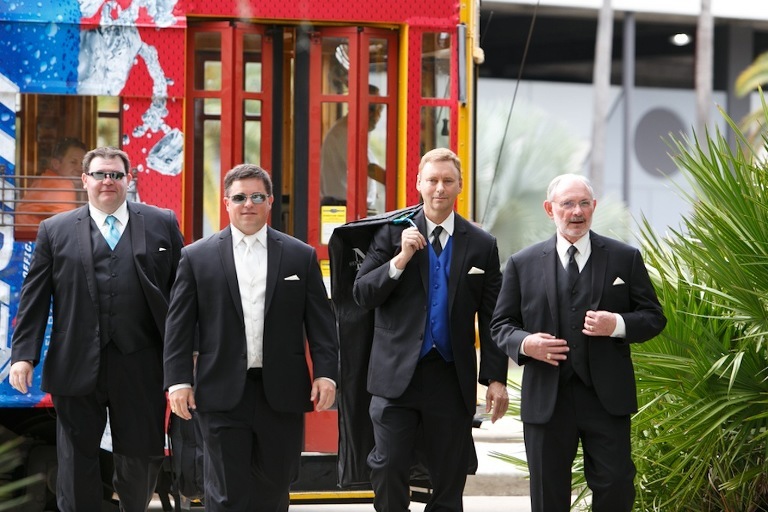 The Tampa couple played off their wedding venue selection with an interesting ceremony song selection. To capture their wedding day, Heather and Jason looked for a Tampa wedding photographer with technique and charisma. 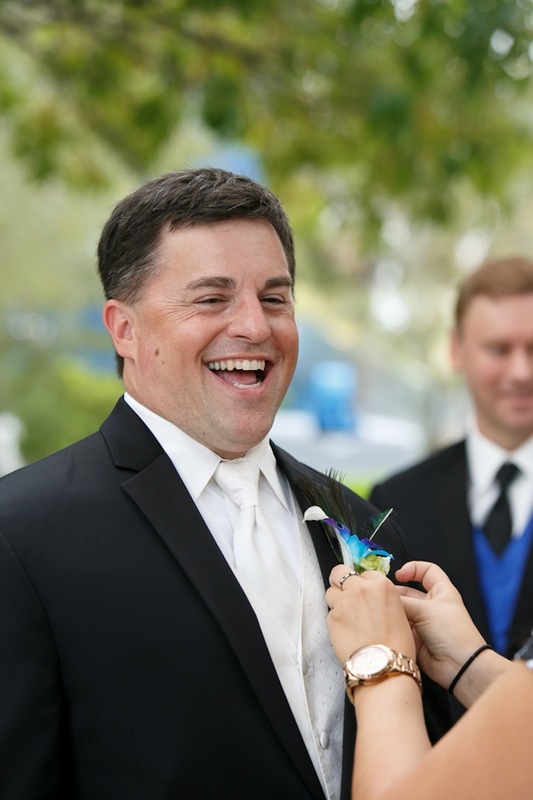 With the help of her Tampa rental company, Savvy Events & Entertainment, Heather was able to make not only her wedding day, but also another bride’s day extra special. Looking back, one of Heather’s most memorable moments was when her father handed her to Jason during the wedding ceremony. My only advice to other brides is to be yourself, wear the dress you love, overdo it even if your mom doesn’t like it. Wear the blue shoes, wear the dangly earrings if you want, play the music you like, invite the people who truly mean something to you. You can’t make everyone happy so don’t even try! It is YOUR day, make it all your own! 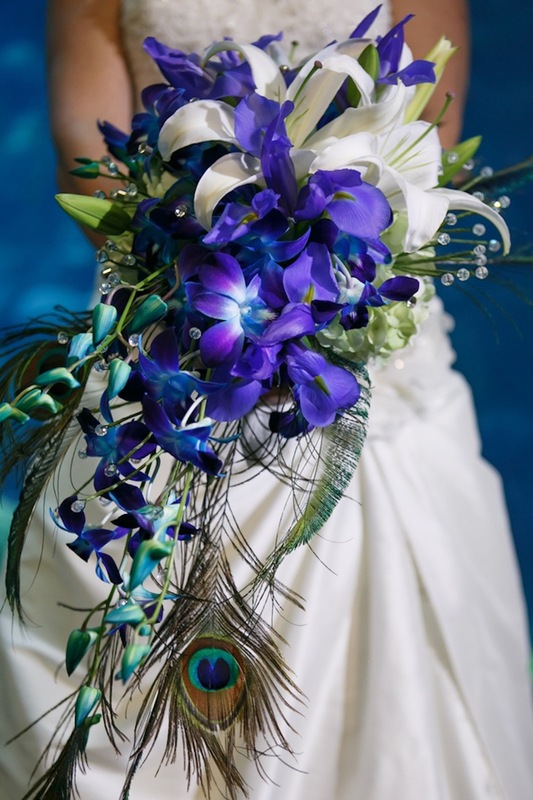 We are proud to have Carrie Wildes Photography and the Florida Aquarium as a Marry Me Tampa Bay sponsors!